The 2019 Triad Jewish Film Festival concluded a successful season with all films sold out. 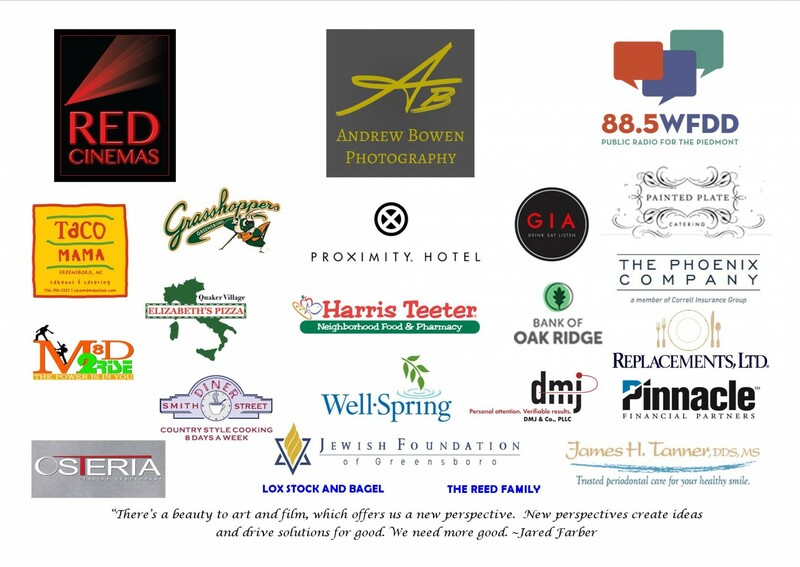 We want to thank our sponsors - see below, our volunteers and most of all YOU - our movie-goers. Thank you to our incredible sponsors. Your partnership and support are invaluable. You make this festival possible! The Triad Jewish Film Festival presents an eclectic group of films that are certain to tug your heartstrings, make you laugh, challenge you, and expose you to new and interesting people and stories. Scroll down to take a look at the films that were shown in 2019. If you would like to volunteer for the Festival Committee for 2020, please contact Carly Dunno (336) 852-5433 x243. 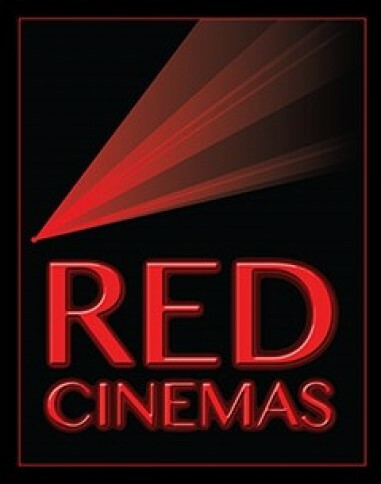 Showing February 9, at 7:30 p.m. Sponsored by Andrew Bowen Photography. Eli gets to know his grandfather Samuel for the first time when he makes him the subject of an animated art project for school. With dreams of becoming a professional artist, the high school senior discovers that his grandpa, a Jewish dry cleaner, was heroically saved from Nazi capture in Germany by a young woman when he was a boy. Showing February 10 at 4:30 p.m.
A stirring story of sports, patriotism and personal growth Heading Home: The Tale of Team Israel charts the underdog journey of Israel’s national baseball team competing for the first time in the World Baseball Classic. After years of defeat, Team Israel finally ranked among the world’s best in 2017, eligible to play in the prestigious international tournament. Their line-up included several Jewish American Major League players -most with a tenuous relationship to Judaism, and never having set foot in Israel. Their odyssey takes them from Tel Aviv and Jerusalem where they are greeted as heroes, to Seoul where they must debunk their has-been, wannabe reputations. As their “Mensch on a Bench” mascot tags along, the team does much soul-searching, discovering the pride of representing Israel on the world stage. Showing February 13 at 7:30 p.m. In her new film, My German Friend, Meerapfel digs deep into the German past and tells a tale of the paradox of romantic love in the face of collective guilt. It is against the magnificent backdrop of Patagonia that she sets this vagrant love, a love which must first rid itself of the ghosts of the past. In Spanish and German with English subtitles. Showing February 16 at 7:30 p.m.
Thomas, a young German baker, is having an affair with Oren, an Israeli married man who has frequent business visits in Berlin. When Oren dies in a car crash in Israel, Thomas travels to Jerusalem seeking answers regarding his death. Under a fabricated identity, Thomas infiltrates into the life of Anat, his lover’s newly widowed wife, who owns a small Café in downtown Jerusalem. Thomas starts to work for her and creates German cakes and cookies that bring life into her Café. Thomas finds himself involved in Anat’s life in a way far beyond his anticipation, and to protect the truth he will stretch his lie to a point of no return. In Hebrew and German with English subtitles. Showing February 17 at 4:30 p.m. In this riveting historical drama, 10 political activists (including Nelson Mandela and his inner circle of Black and Jewish supporters) face a possible death sentence for conspiracy to commit sabotage after they are arrested by the apartheid South African government during a raid in the town of Rivonia during the summer of 1963. Bram Fischer, a sympathetic lawyer, risks his career and freedom to defend these men, attempting to hide the fact that he, too, frequently convened on the farm where they were arrested. In English and Afrikaans with English subtitles. Showing February 20 at 7:30 p.m.
A once-acclaimed New York playwright, Nate, is struggling to finish his new play when his wife leaves him, taking their son. Desolate, broke and unable to pay the rent, Nate begrudgingly moves in with his widowed father, Bob, in his New Jersey retirement golf community. A short documentary film about a group of Jewish Senior citizens who celebrate the weekly Sabbath (Shabbat) at the local Wendy’s fast food restaurant in Palm Desert, California with Hebrew blessings along with burgers and fries. This is a story of rediscovering the joys of community again in older age, and in the longing for ritual, however unorthodox it may appear. A group of Jewish Seniors celebrate weekly Shabbat at a local Wendy’s fast food restaurant.